This weekend, April 20-24th, Xur is over at the Watcher’s Grave landing zone on the planet Nessus, so spawn in and make your way towards him. 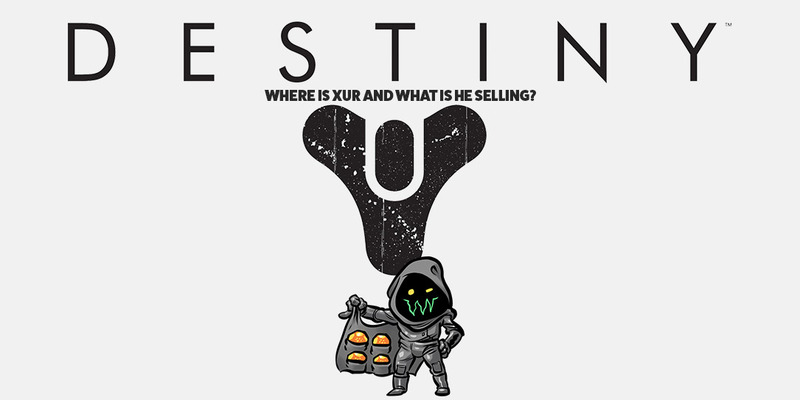 It’s that time again for another edition of “Where is Xur and what is he selling?” This weekend, April 20-24th, Xur is over at the Giant’s Scar landing zone on the planet Io, so spawn in and make your way towards him. Take a look below to see what exotics Xur is selling this week in Destiny 2. Vigilance Wing is an original Destiny 2 exotic pulse rifle and while it’s a nice looking weapon, it also has one good perk to it that will help you out in the long run. The Harsh Truths perk grants the rifle to fire a 5-round burst and when nearby allies are killed, you gain health and movement speed is increased. Peacekeepers is a good exotic if you love to run submachine guns. The Mecha Holster perk reloads stowed submachine guns and allows you to ready them instantly, allowing you to get some fast kills and move on to other enemies in the area. Foetracer is also a good exotic gear to get and it’s one that has been offered since Xur has been here in Destiny 2. The Relentless Tracker perk marks targeted enemies making it easier for you to get your kills. Plus, more damage is dealt to low-health marked enemies. Also, part of the Curse of Osiris DLC, Vesper of Radius comes with an alright perk that may or may not be useful in certain situations. The Planetary Torrent perk causes a shockwave when you place your Rift. Your Rift will also recharge much faster when enemies are around you.